Duo suspension - 100% portuguese lighting!!! The name Duo comes from its shape, divided in two, bonded with one single purpose: to illuminate! Typically portuguese, made of cork, Duo will light up your life and your home! 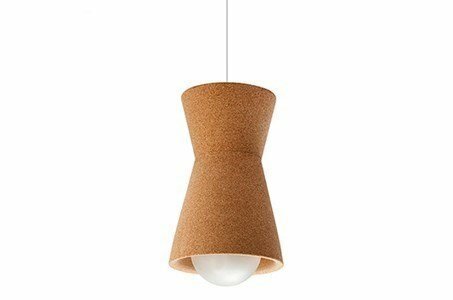 Lamp made of cork agglomerated with a 1,4m long leather cork cable.